Our batter enrober takes the hassle out of marinating and battering a variety of products, from meats and seafood to ethnic product and produce. The machine comes in both "waterfall" and "dip" styles for maximum flexibility and it's easy to switch between batters for maximum production efficiency. 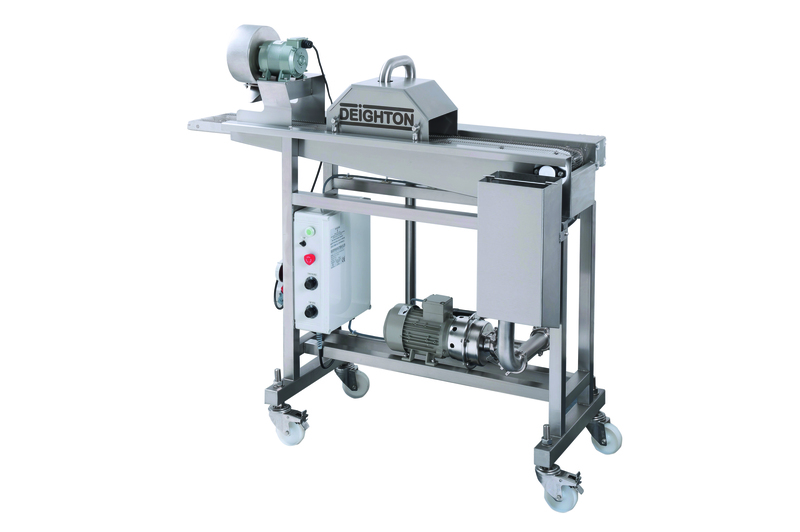 Our batter enrobers can operate as a stand alone unit or in conjunction with a complete breading and frying line.